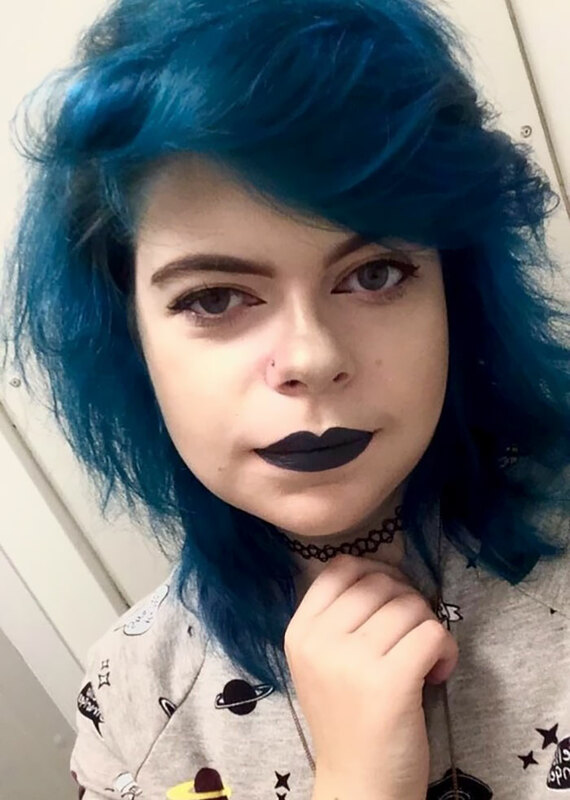 18-year-old Amelia Hall has suffered from depression for several years. But when she had a particularly bad day recently, she didn’t resort to self-harm but instead did something both brilliant and inspiring. 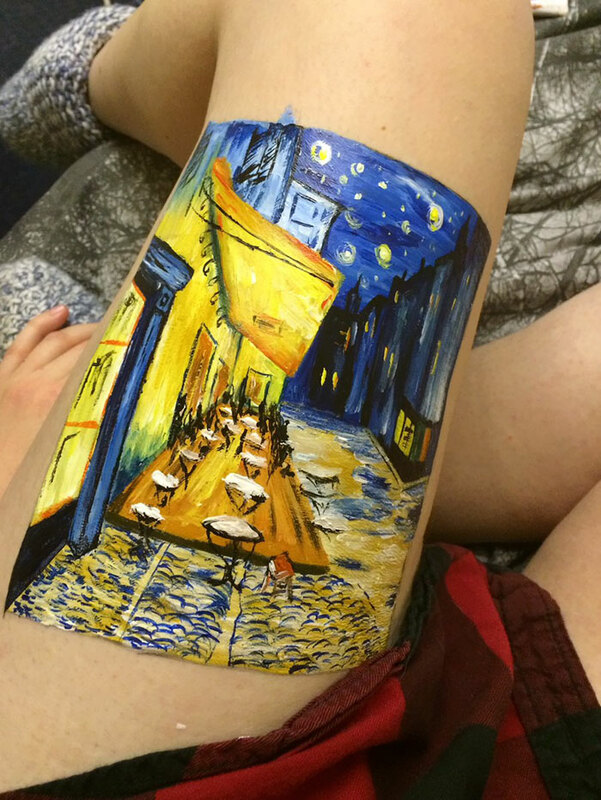 She painted Vincent van Gogh’s “Café Terrace at Night” on her leg! 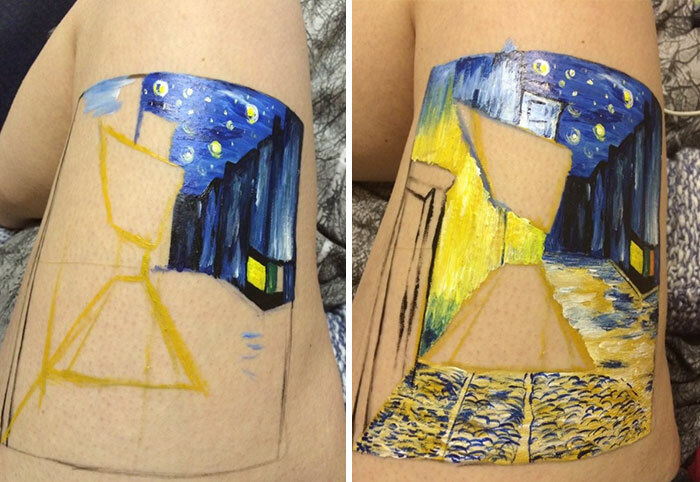 And the internet was just as impressed as we were!